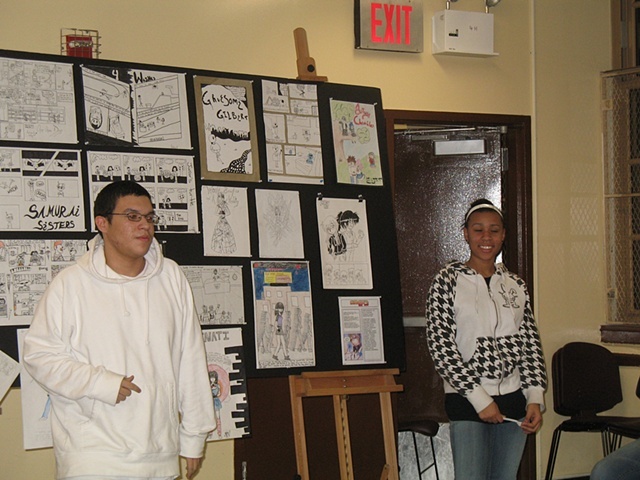 Students studied the art of comics in art class and in an after-school comics class. In both classes students considered the idea of an Alter-Ego and created a character that represented something they wish they could be, do or say that they could not in their own lives. Students developed a short narrative combining text and image and created a splash panel and a single page for their finished piece.